To successfully start up your offshore business and offshore investment company you will require the services of professional agents who have years of experience in offshore company formation, and offer the full suite of offshore company services that will complement and enhance the operations of your offshore company. As qualified and licensed specialists in offshore company formation, you can trust us with your Nevis company incorporation. Our Nevis Company incorporation services are designed to ensure that every client ordering a Nevis offshore company (Nevis Corporation) is 100% satisfied with the services we offer. The simple design of the site, the easy to use and secure online company incorporation process and the support of a team of professionals are just some of the features we offer our clients. All clients get a step-by-step walkthrough our online Nevis company incorporation procedures for successful offshore company formation. We provide our clients with comprehensive services for Nevis offshore companies incorporation through our parent company CCP Inc. For the benefit of our clients we offer both types of offshore Nevis Corporations available - the Nevis LLC and the Nevis IBC. These offshore companies are ideal corporate structures that facilitate commercial, investment and trading activity offshore and are applicable to the diverse needs of our clientele. Nevis Limited Liability Companies LLC and Nevis Corporations, Nevis IBC’s can protect assets, limit liability, lower tax obligations and provide a reputable vehicle for international business and investment activity. The Nevis LLC and Nevis IBC are both offshore companies and share features in common. Four of these include limited liability, legal personality, international business company ranking and “Articles” that establish a constitution for managing the Nevis company. Nevis offshore companies can be incorporated using nominee directors and shareholders for the Nevis IBC and nominee members for the LLC. The use of a nominee representative will increase the privacy of the beneficial owners of the Nevis Company. Nevis LLC or Nevis IBC Incorporation? 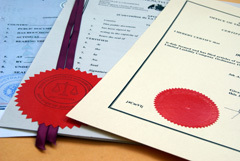 At CCP Inc., we are often faced with the question, ‘Why an LLC and not an IBC’ and vice versa. The answer to this lies in the structure of these offshore companies which differ in two main respects. Firstly, a Nevis LLC does not issue shares and accumulates capital by contributions made by the Nevis LLC members, and secondly, a Nevis LLC is managed by its members but may opt to employ a manager. 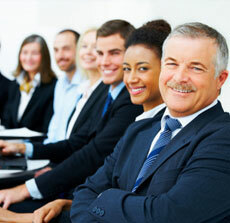 The Nevis IBC is managed by a board of directors and the Nevis IBC can issue a variety of shares. A Nevis offshore LLC is set up in a way that simplifies the decision-making process and eliminates the double tax (income tax and corporate tax) that a Nevis IBC may be subject to in the countries where they do business. Nevis offshore companies are 100% tax free companies in Nevis. CCP Inc. is therefore pleased to be able to offer two versatile offshore structures that have a simple organizational structure, are easy to manage, while at the same time offer the opportunity to operate under tax-free conditions. We firmly believe that offshore banking is an indispensable instrument for the operations of every Nevis offshore company, be it a Nevis LLC or Nevis IBC. It is veritably a tax-savings tool and should be a component of every offshore company. We are able to offer our clients offshore bank accounts in some of the most reputable offshore banks in the Caribbean and Europe. Full detail on the banks, services and features are available here. 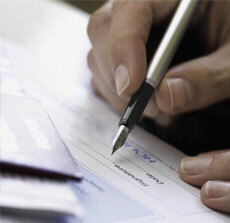 One of our main offshore incorporation services is offshore company bank account introduction. We only provide offshore banking services for our clients who incorporate a Nevis corporation with us. We do not offer banking services for personal offshore accounts. For clients who want to start a new business offshore company as quickly as possible, we have an inventory of offshore shelf companies. Contact us for a list of available Ready-made shelf companies. We have witnessed the high demand for Nevis offshore companies, and as such have implemented an efficient internal system for Nevis company formation. Thanks to our long-established working relations with relevant Nevisian authorities, CCP Inc. is able to guarantee same day Nevis LLC formation and Nevis IBC incorporation. 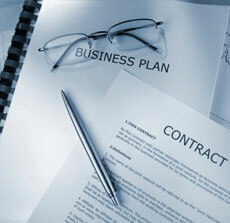 We have set up this site entirely for the specific purpose of Nevis company incorporation.